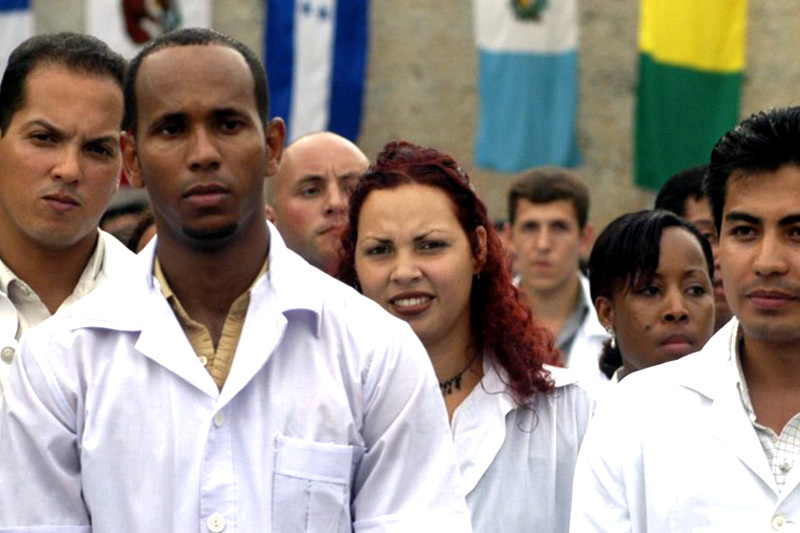 Cuban doctors have sustained everybody’s health for decades. The reason Cuban medicine has such prestige is because of the incredible effort of its professionals. The same as Cuban teachers, doctors earn very little. They spend years and years at their careers, and later in service to the country. That’s the reason we have quality education and healthcare in Cuba. Not by some magical social politics nor because we want to take money away from the rich, like Robin Hood. It’s because of dedicated professionals and the rest of the Cuban workers who finance the expenses, all with pathetic salaries. But it’s not easy work to sustain such a good health service in a country with such an unproductive economy. This burden ends up falling on the shoulders of Cuban doctors. Some choose the path of the missions in the Exterior to earn a little more. Others prefer to leave the island. So we need to know what they think. These are the opinions of doctors who presently work in Cuba. “Since that is the frosting on the cake, I work in the Julio Trigo López Hospital, one of the worst in terms of structure and management. Some months ago they did a restoration. It happens that every time they say a room is finished, weekly, the room still looks like it did originally because of the poor work that the construction crew does. Why do you go on missions? As a movement, as young people and as Cubans, we have the duty to confront this problem and to offer solutions. We need an economic dynamism that sustains Cuban medicine. We need an open and clear debate about what is happening. To stop building castles of fantasy and understand that the benefits of the system should fall on the shoulders of the workers. It’s clear that this isn’t a simple matter. We have a devastated economy and a demanding public health system. But we know that as a nation we can make it much better.